From the smallest molecule to the largest biome, the study of biology crisscrosses the living world, uncovering its processes and patterns. Working side-by-side, students and faculty collaboratively push the boundaries of discovery. 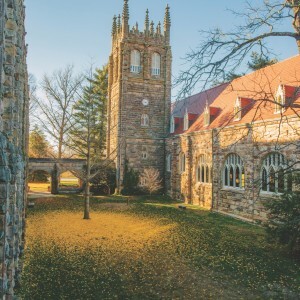 Why study Biology at Sewanee? Through both laboratory and field courses, Sewanee biology students explore the fundamental understanding of biological complexity. More importantly, our students are exposed to the pressing questions that remain in this dynamic discipline. 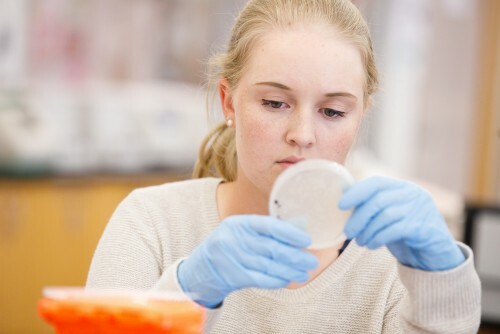 The Sewanee Biology curriculum is based on a rigorous intellectual foundation that equips our graduates for success in many different areas after graduation. Ecology and biodiversity: Studying biological complexity from genes to ecosystems and their response to human interactions. Molecular biology: Understanding the fundamental building blocks of life through the exploration of genes and their impact on cell function. Integrative biology: Exploring the interconnectedness of life with a focus on the structure and function of organisms. Community health promoter, Peace Corps, Lima, Peru. Research associate, Yale Child Study Center, New Haven, Connecticut. 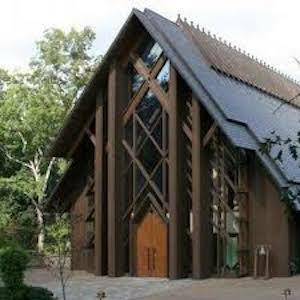 Investment research, New Capital Partners, Birmingham, Alabama. Research associate, DeCode Genetics, Reykjavik, Iceland. Trauma sales associate, Stryker Orthopedics, Baton Rouge, Louisiana. Medical degree program, medicine and public health, Mayo Clinic College of Medicine. M.S.N., advanced nursing, Johns Hopkins University. Ph.D., neuroscience, Oregon Health & Science University. M.S., cancer science, University of Glasgow. A Sewanee biology professor and her students look to shed new light on an age-old debate—by scaring some tiny fish. 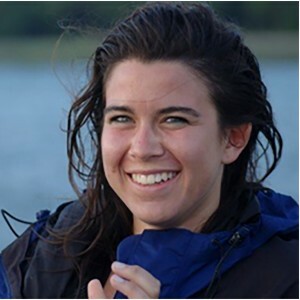 Behind an unmarked door on the ground floor of Woods Labs, Katie McGhee is studying tiny fish from Lake Cheston as she seeks to tease out clues to one of the great puzzles of human life. It’s a question that has vexed everyone from philosophers and criminologists to biologists and theologians: What makes us the way we are? Nature or nurture? 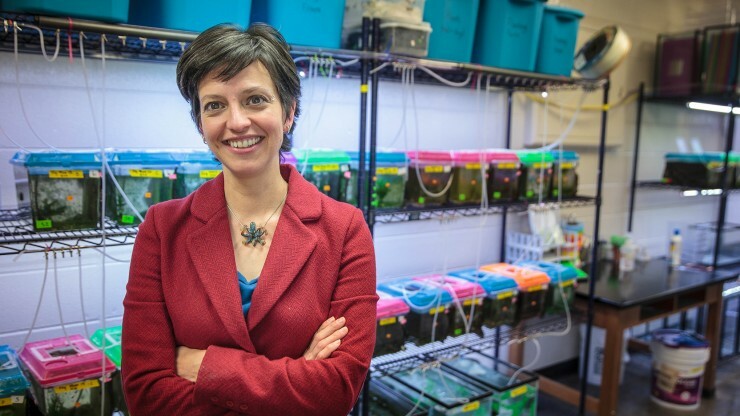 Professor Cecala studies aspects of the basic and applied ecology of aquatic organisms. Specifically, she is interested in how environmental change alters the ecology and distribution of amphibians and reptiles through behavioral mechanisms. A study of ecology, evolution, and biological diversity, with an emphasis on scientific investigations in the natural areas in and around the University. 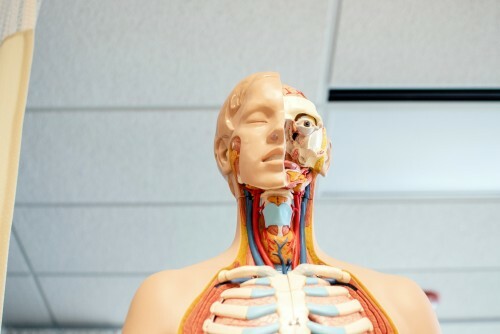 This course focuses on basic anatomical structures of the human body and how distinct organ systems are organized at the tissue and cellular levels. Emphasis is placed on understanding structure-function relationships in the human body, how they interact in a network, and how those relationships are perturbed in the development of human disease. The laboratory component addresses practical considerations relating to anatomy and includes medical imaging technology emphasizing three-dimensional relationships. This course is an overview of cancer development at the cellular and molecular levels. It uses a survey of primary scientific literature to cover the basic cell biology of cancer. Topics include growth control, angiogenesis, invasion, metabolism, and cell signaling as they relate to the progress of cancer. This course studies animal behavior from an ecological and evolutionary perspective. Topics include the development of behavior, predator-prey interactions, communication, foraging strategies, cooperation, mating behavior, and parental care. Lectures include discussions of the scientific literature. Laboratories emphasize methods used to study animal behavior, including hypothesis testing, experimental design, and statistical analysis. 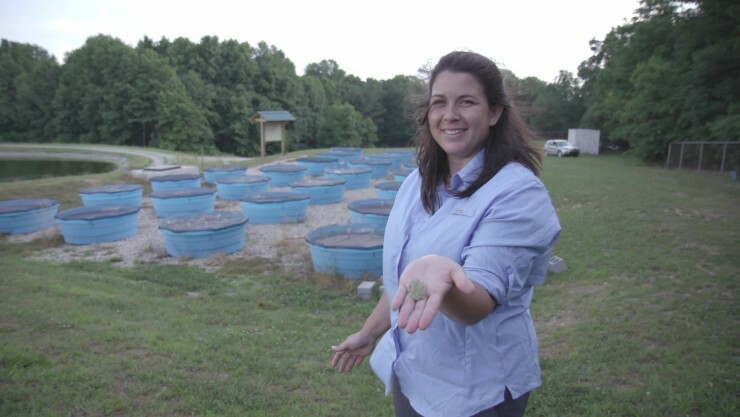 Kristen Cecala studies the patterns and processes contributing to changing amphibian distributions in the face of landscape changes including land-use and climate change. She is specifically interested in linking observational and manipulative experiments to explore mechanisms of change. Her research also contributes toward development of comprehensive management strategies for freshwater ecosystems. The lab is broadly interested in the molecular basis of behavior, and uncovering details of the mechanisms of activation of ion channels, especially at the single channel level. Professor Shelley's lab uses sea urchins as an experimental organism, with the aim of elucidating the electrical and biochemical steps that underlie sea urchin behavioral responses to light. Elise Kikis studies the aberrant proteins that underlie neurodegenerative diseases such as Huntington’s disease. Huntington’s disease is one of several autosomal dominant disorders in which a polyglutamine (polyQ) expansion leads to “toxic gain of function” caused by the adoption of a misfolded or aggregated state associated with proteotoxicity. Contact her for more information about research opportunities in her laboratory. Jon Evans studies the dynamics of plant populations and the processes that determine the composition and structure of plant communities over time and across landscapes. He is specifically interested in the role of clonal growth as a mechanism for population persistence in plant communities. As a conservation biologist, he studies the consequences of land-use history, global climate change, and exotic species introductions on long-term change in ecological communities. Viruses infect all cellular life; they are everywhere. Here at Sewanee we are interested in coronaviruses (CoV), which include the deadly human pathogens SARS-CoV and MERS-CoV. In order to understand more about these human coronaviruses, we use a murine coronavirus, mouse hepatitis virus (MHV), as a model system. Alyssa Summers earned a B.A. at Lawrence University and a Ph.D. at Vanderbilt University. Her interests and topics of study include molecular cell biology, molecular genetics, epigenetics, cancer cell biology, and medical humanities. 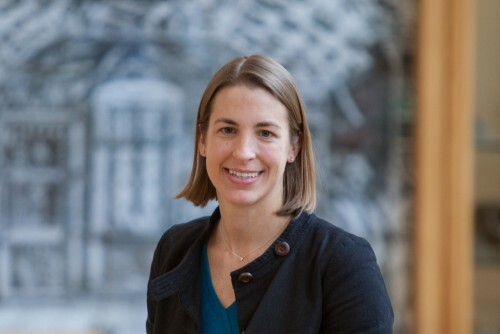 Dr. Summers specializes in topics that explore the complexity of DNA and the implications of genetic differences in cellular development and disease. In addition to the sciences, she is interested in gaining insight in how we understand our own humanity—in particular how this realization may allow us to become better healers and practitioners of medical care. Kirk Zigler earned a B.A. from Kenyon College and a Ph.D. from Duke University. His specialities include invertebrate zoology, evolution, and biodiversity. Dr. Zigler studies the evolution and development of invertebrate animals, focusing on cave biodiversity in Tennessee, Alabama, and Georgia. 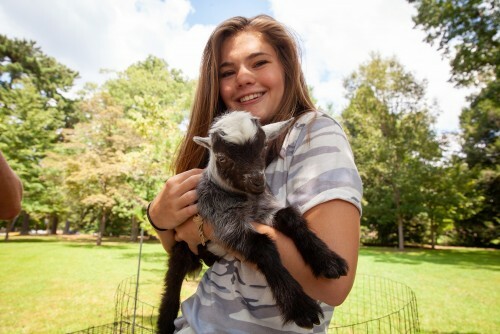 He has also worked with students on research projects studying animals as varied as spiders, snails, millipedes, ants, isopods, beetles, and clams. 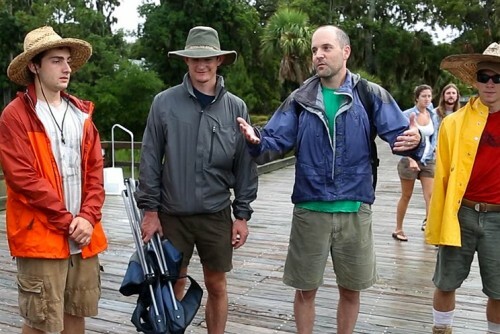 He also co-directs the Island Ecology Program, which takes place every summer. Deborah McGrath earned a B.A. at the University of Wisconsin and an M.S. and Ph.D. from the University of Florida. Her specialties include ecosystem and plant physiological ecology, biogeochemistry of land use, and environmental health. Dr. McGrath studies pharmaceuticals in treated wastewater and watershed streams, the effects of exurban development on water quality, and the impact of land-use change and plant invasion on ecosystem nutrient dynamics. The Journal of Sewanee Science, a semiannual magazine, was founded in 2015 as a venue for Sewanee students to highlight their work. 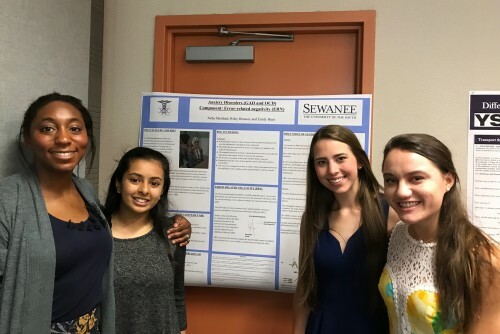 All research articles are reviewed by Sewanee alumni, giving both past and current students the opportunity to participate in, and learn from, the process of scientific publishing. The Advent 2018 issue features Amanda Watters and her research on pre-gestational oxycodone exposure and its impacts on maternal motivation, caregiving, and drug seeking.